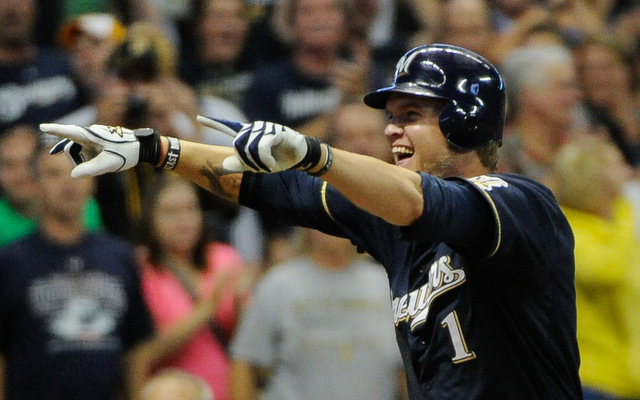 BREAKING: Corey Hart Agrees To Sign Elsewhere (Pending Physical), So Where Do Brewers Turn? As first reported by Jon Heyman via Twitter, free agent Corey Hart has agreed to sign a contract with the Seattle Mariners for the 2014 season. A source independently confirmed the agreement, but said that the “Pending Physical” part of the equation isn’t seen as a 100% certainty. What this means for the Brewers is that they move onto their backup plans which were being put into place over the past couple of days. Those plans include three names we know about. As I reported Monday night, the Brewers were a finalist to acquire Ike Davis in trade from the New York Mets before the Mets decided to bump up their asking price. With Hart no longer available, you can assume that the Mets won’t be motivated to move off of that demand. However, the Mets would very much like to unload Davis and don’t have a ton of trade partners available to them. Listed as one of many teams that “checked in” on Logan Morrison, the Brewers were seen as out as recently as last night but this morning I was told (and yes, tweeted first for those that care), that the Brewers were viewing LoMo as the top fallback trade option should Hart spurn their advances. Since he did, that could certainly get things moving again here. As of this morning, Adam McCalvy first reported that given the current state of flux surrounding the Hart situation, the agent for Loney proactively reached out to Melvin. As we all know, Melvin loves it when a player expresses a desire to play in Milwaukee. Watch for this one to take shape especially if Loney can be talked off of his current desire to get a three-year deal. 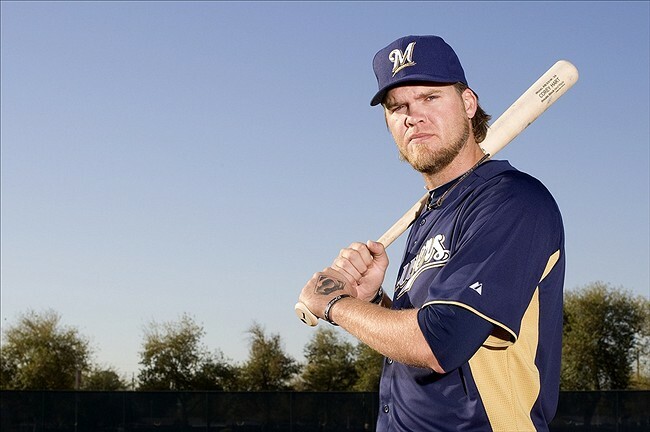 A source just messaged me to say that free agent Corey Hart and the Milwaukee Brewers have been “actively working” toward a contract agreement pretty much all day. This is a deal that is being “hammered out” still, but that both sides appear “motivated” to get it done. As I’ve said numerous times cross-platform, this would solve the biggest single need for the Brewers with a player they know and are comfortable with, both in terms of clubhouse fit and on-field production. Hart took back to first base like a metaphor in which something was away from something else for a while but then went back to it in a seamless and easy transition. Could things still fall apart? Until the physical is passed and the contract is signed, anything is possible. But this would be a continued relationship that makes sense on both sides of the table. As there is still some back and forth here, I don’t have any contract specifics to provide at this time. I’ll update if I hear something though. I had previously reported that the Brewers were preparing to offer a one-year deal having a low-base salary with heavy incentives. There are no indications yet from my source as to where current negotiations are at other than that they’re still fluid at last check. As I was sitting here writing up my Day 1 recap of the Winter Meetings, my phone buzzed. What it said when I checked it was that the Brewers are progressing down one road thereby forcing the issue on another front burner topic. The Brewers are one of two teams “left standing” (as it was worded to me) in talks with the Mets to potentially acquire 1B Ike Davis in trade. Despite pressure on my part for additional information (Who is the other team? What’s on the table for Davis? ), those details weren’t offered in return. They have prioritized the position, not just the player. They want a decision from Hart soon. This is what I’ve been touting as “leverage” against the player. You can’t simply let Hart sit and play teams off of each other for a week or more driving up prices. They wouldn’t have gotten as far down the road on acquiring Ike Davis as it sounds like they are unless they viewed him as a viable alternative should they be spurned by Hart. To my source, it feels like it’s nearing “(crap) or get off the pot” time for Corey Hart with concern to the Milwaukee Brewers. In my opinion, the Brewers prefer Hart to return over importing a different player, however they aren’t going to held over the coals either. There are some advantages to Davis though. He’s controllable, six years younger than Hart, cheaper, and could be a bounce back candidate coming off of such a poor season that he was demoted to Triple-A at one point. You can expect a little push back from Hart’s people as they work to field all of the offers that they want to, but Doug Melvin and the Brewers simply cannot go into 2014 with the same kinds of questions at first base that presented themselves once Hart, Mat Gamel, and Taylor Green all succumbed to season-ending injuries before Opening Day. Expect Melvin to get things going. Corey Hart has been medically cleared. What this means for Corey Hart the professional baseball player is that teams can feel more confident than they have up to this point in offering him a contract. 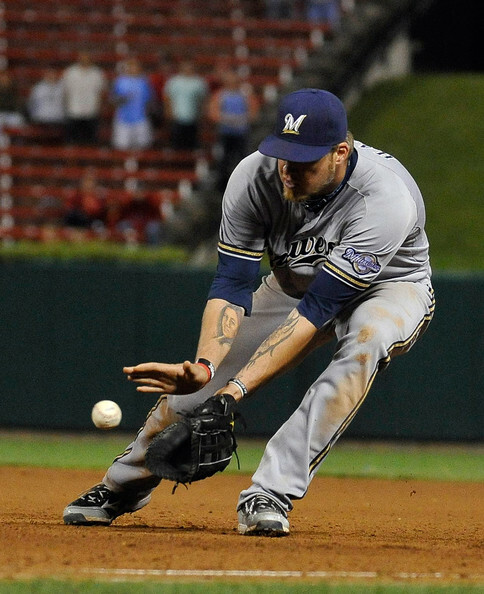 What it means for Corey Hart the man is that he’ll have some decisions to make. A source tells me that in addition to the contract that the Brewers have been preparing to offer on which I reported a month ago, at least four other teams have been working on offers. It doesn’t necessarily mean that he’ll get all of them in his hands but that so many teams are considering him leads me to a thought. More on that in a moment. First the teams: Blue Jays, Mets, Yankees, and the Orioles. Nobody is expected to go crazy at this point in what they might offer Hart, but with these teams in the mix along with other destinations that certainly make sense at least on paper, it could be enough that Hart could conceivably turn this into a more lucrative situation than first suggested by yours truly and other smarter folks. That was a low-base, one-year contract with incentives that could turn the contract into slightly below market value. So here’s what I’m thinking. I wonder if the Brewers will end up needing to offer Hart a one-year contract at relatively the same terms as above but with a vesting option for a second year at full market value that becomes a mutual option should it fail to vest. Something along those lines would likely be able to trump simple one-year offers unless Hart only wants to play 2014 under contract in order to hit full free agency next off-season. Then again, that assumes that nobody goes two guaranteed years from the jump. Regardless as to the ultimate offer from Milwaukee to Hart, it appears as though he is the Brewers’ main priority right now. They have made no other moves and although Doug Melvin historically works slowly at this time of year, it’ll be worth watching to see how quickly they might move on the former All-Star now that he’s medically cleared for all baseball activities.